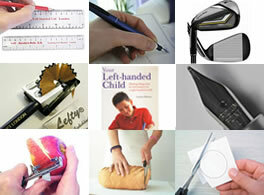 Home › Media › Press Release: I’m Left-Handed, What’s Your Superpower? Left-Handers’ Day on 13th August each year is the chance for left-handers everywhere to celebrate their advantages and achievements – and according to the Left-Handers Club, leading authority on left-handedness, they have plenty to celebrate! Left-handers might be in the minority (being 10% of the population) but what they lack in numbers they make up for in talents. Being left-handed has a major influence on your mental and physical development – the hand you write with is only a clue to the different connections going on inside the brain. 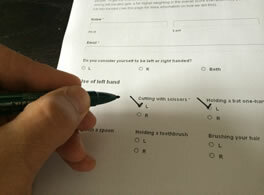 Researchers claim that lefties are more intelligent and eloquent than their right-handed counterparts. In tests conducted by Dr. Alan Searleman, there were more left-handed people with IQs over 140 than right-handed people – which is the “genius” bracket. Some of the earliest works of western philosophy and science were written with a left hand. Aristotle, he of the scientific method, early physics, astrology, meteorology and ethics, penned an exhaustive list of works that laid the foundation of much of modern science. Their creative talents and charisma have made these leftie performers some of the biggest stars on the planet. Their “outside the box” inventive take on a role gives them the edge over more traditional performers. Science is no stranger to lefthanders. In this field where high IQ, lateral thinking and brain symmetry, (connecting all the aspects of the brain’s power effectively) are essential, lefthanders have the perfect attributes, and more scope for Eureka moments! A study by the National Bureau of Economic Research floated the idea that left-handers favour “divergent” thinking, a form of creativity in which the brain moves “from conventional knowledge into unexplored association.” Maybe that explains the surprising number of left-handed business moguls – and what it takes to develop a net worth estimated at $79 billion!